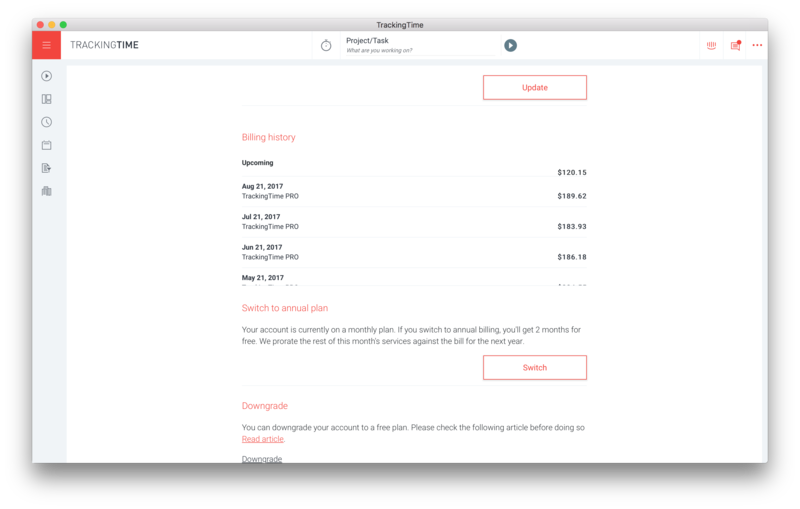 How to view and manage your billing and payment history. In the billing history section you'll find all your past invoices as well as your upcoming invoice for your current billing period. Here, you can also download your invoices in PDF format for your records. If you need any specific billing details such as company name, address, tax id or any other information to be printed on your invoices, you can enter it in the field under "Billing details". Once you have entered the information you need to be included in your invoices, you can download these for your records. Click on the menu button on the top right corner of the screen and select "Settings"
Click on the invoice you'd like to download. That's it. A PDF file including the billing details you entered will be downloaded into your downloads folder.